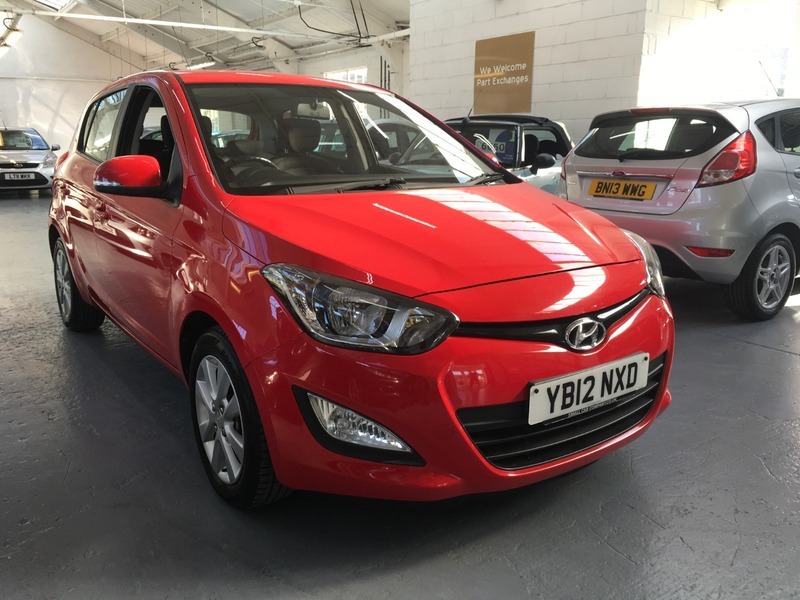 ANOTHER FINE HYUNDAI i20 OFFERED FOR SALE BY THE SMALL CAR COMPANY. THIS IS THE "ACTIVE" MODEL WHICH MEANS IT COMES WITH BLUETOOTH ALONG WITH ALLOY WHEELS, USB AND AUX-IN, STEERING WHEEL AUDIO/PHONE CONTROLS AND AIR CONDITIONING. THIS EXAMPLE COMES WITH A COMPLETE SERVICE HISTORY FROM NEW ALONG WITH LOTS OF RECEIPTS AND OLD MOT'S. PLUS ITS ONLY £30 ROAD TAX! !